Shawniece gushed about her husband, whom she met on Season 6 of Lifetime's Married at First Sight, Sunday night on Instagram, and in the process, she revealed the big news. "Last weekend I got faded with you on my side. This weekend I bought a house with you by my side," Shawniece wrote in an Instagram Story. "The world takes a toll on me at times, but I got you to help me through. Every Queen needs her King and for that reason we are learning. I love you Jephte, your helping me reach my full potential." 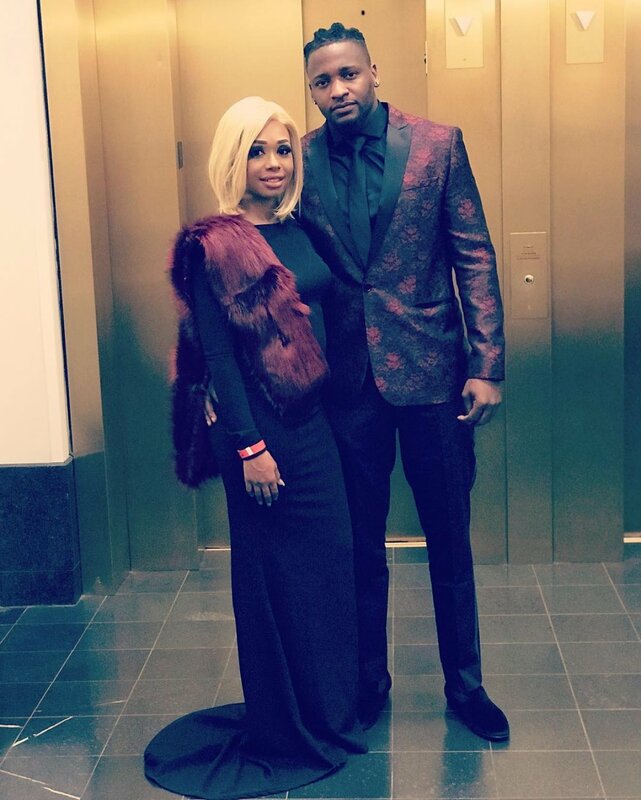 Shawniece and Jephte's wedding was featured on Season 6 of Married at First Sight, and then Shawniece revealed she was pregnant shortly before the finale aired in late April 2018. The couple chose to stay married on "Decision Day," but Jephte and Shawniece's relationship fell apart once the cameras left. In fact, they temporarily separated. Jephte admitted he had an extremely difficult time dealing with social-media backlash during his initial season, mainly because it was obvious he "wasn't feeling" his wife in the beginning of their relationship. Once they reconciled, Shawniece and Jephte starred on Married at First Sight: Happily Ever After, which chronicled their journey to parenthood. Jephte was shown trying to rebuild trust with Shawniece after sleeping with other women during their time apart, and Shawniece put all of her effort into putting the pieces of her marriage back together after getting hurt. The pair even went five months without kissing, but they were both determined to fight for their marriage. Shawniece eventually gave birth to their daughter, Laura Denise Pierre, in August of last year. Ever since Laura's arrival, Jephte and Shawniece's romance has apparently improved slowly but surely, and now they appear to be in love.